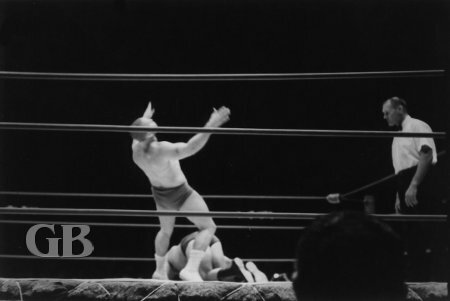 On August 20, 1966 Hawaii wrestling fans were treated to two professional wrestling shows on the same night. 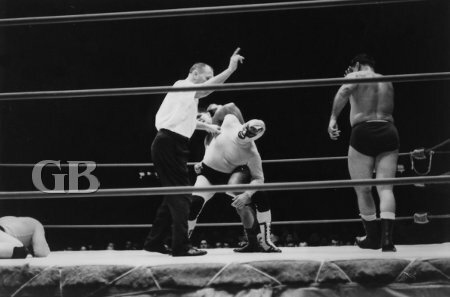 Ed Francis, who operated weekly shows at the Civic Auditorium and once a month shows at the Honolulu International Center (now Blaisdell Center), held a wrestling card at the Kailua High school gym on the windward side of Oahu to benefit the Veterans of Foreign Wars Education Fund. 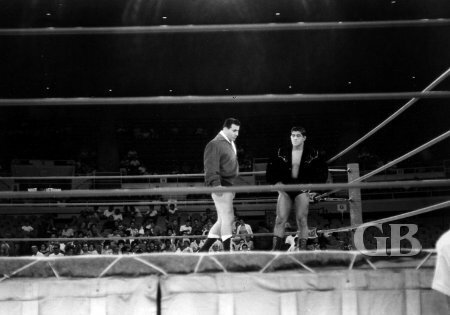 Meanwhile at the Honolulu International Center in Honolulu, a new promotional team of Jimmy O'brien and Augie Curtis made its debut. The card featured wrestlers from the Arizona region with five scheduled matches. A small crowd showed up and the promotion folded after one show. 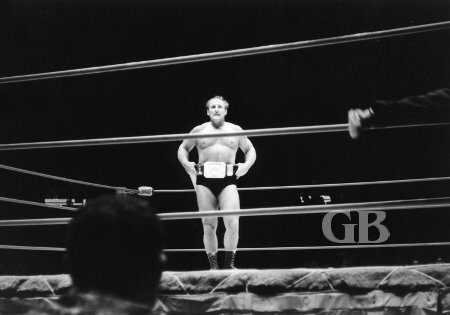 On that night George Beppu attended the show at the HIC and photographed the matches. 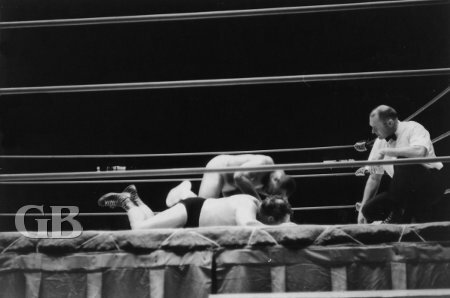 In the preliminary matches, Jim Grabmeyer defeated Fidel Grimo, while Bruce Kirk and Gorgeous George Jr. went to a draw. A match was advertised with female wrestlers Carol Lynn vs. Maria Pizza, however the Honolulu newspaper had no results of this match published. The World Tag Team Belts up for grabs. The Assassins work over Ray Gordon. 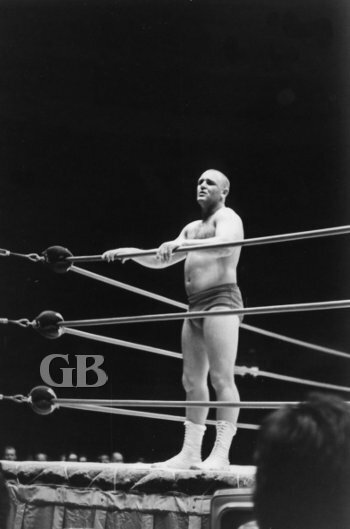 Tito Montez gets strung over the ropes. 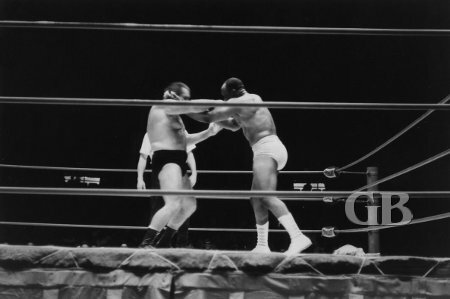 The painful Double Wrist Lock is applied onto Ray Gordon. Then slips into an equally painful Hammer Lock. 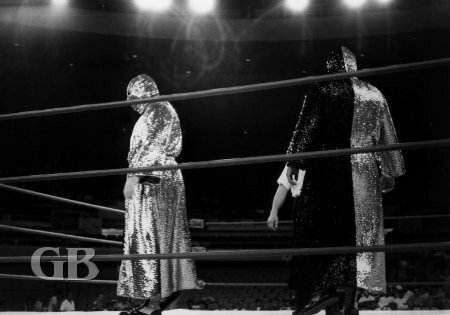 In the first main event of the night The Masked Assassins retained their World Tag Team titles by defeating the team of Ray Gordon and Tito Montez. 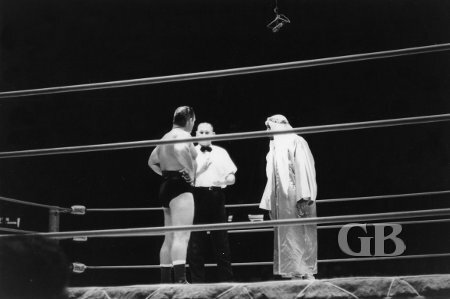 The main event was advertised as the Goliath Heavyweight Championship and featured Don Arnold, the Untied States Champion vs Armon Hussan, the champion of Sudan. Armon Hussan defeated Don Arnold. After each wrestler gained a fall, Arnold was disqualified for throwing Hussan over the top ropes of the ring. 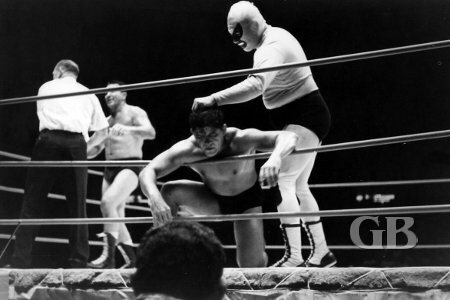 Tito attempts an Abdominal Stretch on one of the Assassins. 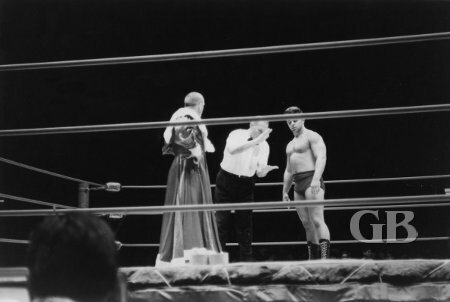 Armon Hussan and Don Arnold listen as the referee goes over the rules. 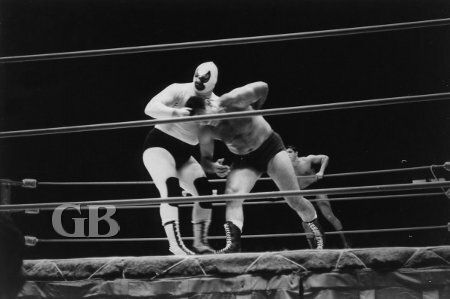 Wrestlers tie up in the middle of the ring. Hassan has Arnold down on the mat flat on his face.